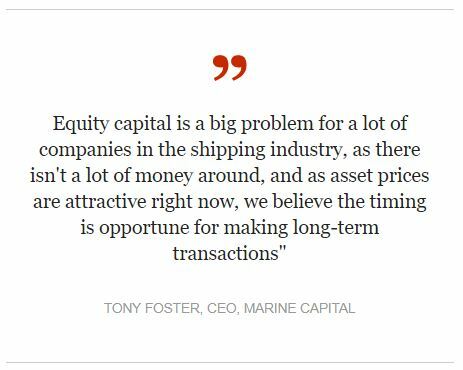 For over 15 years, Marine Capital has assisted pension funds, family offices, sovereign wealth funds and high net worth individuals to understand, and gain access to, the global marine markets (from floating infrastructure to the merchant shipping fleet). As an FCA authorised specialist marine asset manager whose team has extensive experience in both the shipping and financial markets, Marine Capital is uniquely placed to direct institutional capital in this specialist asset class. The management team has considerable expertise in all aspects of marine asset investment which includes transaction sourcing and negotiation, commercial and technical operations, distressed fleet takeover and management, and financing, including equity and debt, as well as investment portfolio management. The firm also provides ship management, operational expertise, and corporate advisory services (including M&A) to corporate and sovereign entities. Our objective is to provide the highest standard of professional investment management in the most transparent and cost-effective manner. All key functions are undertaken in-house, without the need for operating partners.